As the young web took off so many years ago, the rush to fill digital pages with all manner of cool widgets and effects proved too tempting. We wound up with a busy, cluttered internet full of superfluous content. Remember those days? Fortunately, modern trends in web design have gone down a much more utilitarian path while still promoting compelling design. Better yet, with emerging web design platforms like Webydo, creating clean, interesting designs has never been easier! For those designers living under a rock the past few years, Webydo is a web-based design platform that caters to the professional web designer. With its code-free digital studio, designers are empowered to create pixel-perfect designs without any knowledge of web code. The design focus of the websites is modern, sleek and dynamic and are following current design trends with their use of white space, typography, colors, size, UX and other elements. However, modernity takes many shapes and is ultimately influenced by the artist behind a given website. As a sort of proof-of-concept of the possibilities offered when minimal design meets capable web-based design platform, we've compiled a slick list of seven examples created with Webydo. Enjoy! Clearly a designer by trade, Yilei Wang has created a site that embodies the core aspects of minimal design. Leveraging abundant white space, high-res imagery, and spartan elements, her site is both easily navigable and pleasing to the eye. Yilei gets bonus points for combining retro web visuals with modern design trends. 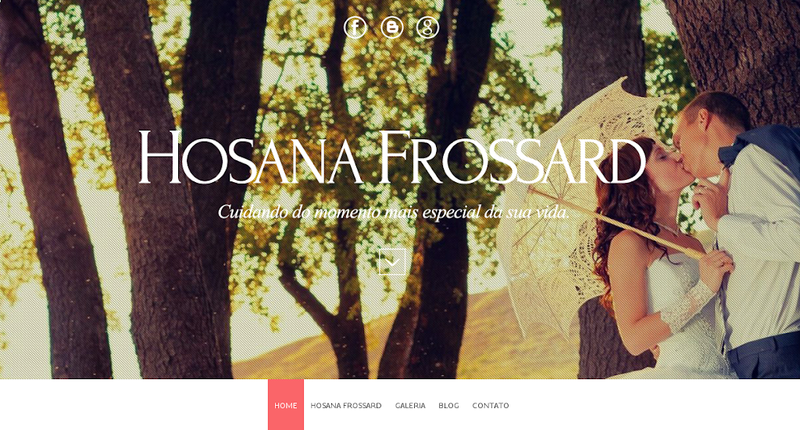 Taking a slightly different approach, Hosana Frossard opts to fill in the white space with color. This comes in the form of large, screen-spanning images guiding the audience through a visual tour of services. 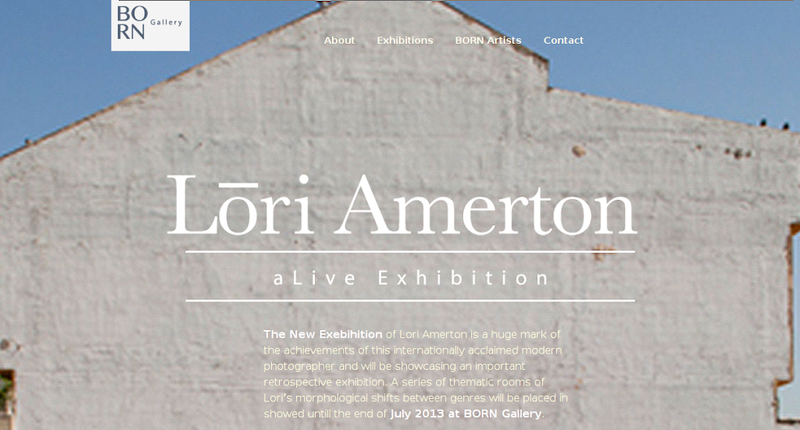 This art gallery website does a wonderful job conveying its message of modern, multi-dimensional art. Starting with the landing page, the eye is quickly drawn to expertly paired fonts showcasing the most important details of the gallery. With little to no structural design evident, elements float beautifully and consistently in this minimal design. 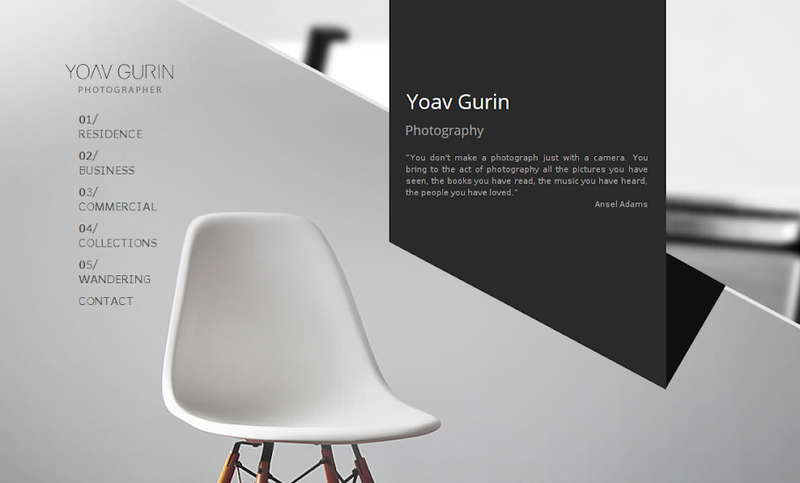 Home to professional photographer Yoav Gurin, this website provokes interest with full screen imagery and clever use of angles and shading to give the impression of depth. With ever-present navigation on the left and simple content elements front and center, Yoav's site lets the work speak for itself. 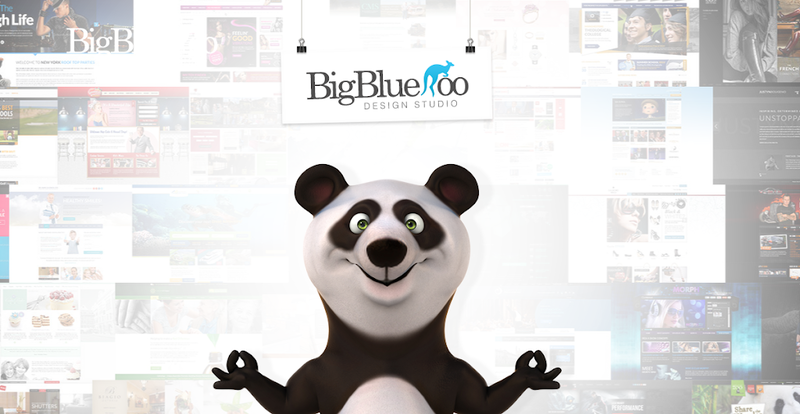 Big Blue Roo's minimal design is colorful and engaging. Despite maintaining a single-page design with only three content sections, the folks at this design studio have mastered the 'less is more' concept. Rather than compiling a traditional gallery for its portfolio, Big Blue Roo presents the user with a gorgeous collage of works cleverly disguised as a background. Continuing the trend of single-page, minimal design, CB designs and printing adds the effects of parallax scrolling to grab the audience's attention while maintaining simplicity. Clean icons, straight forward navigation and concise content combine to create a fantastic visual experience. 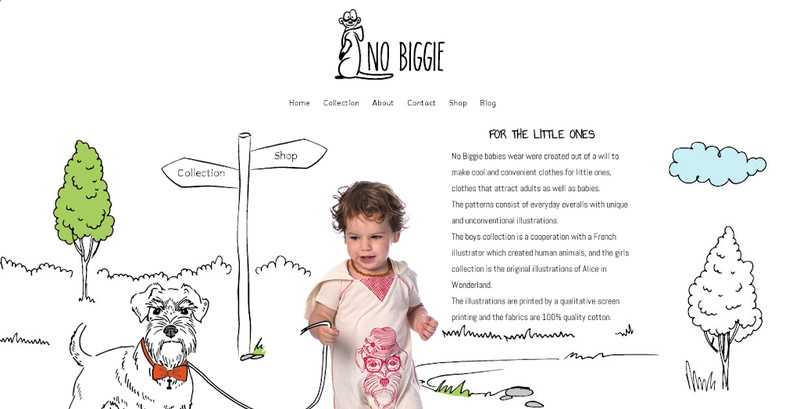 With a whimsical flare and hand-drawn facade, No Biggie captures the ideals of their company in a fun, minimal design. The impressive visuals give the user an 'unfinished coloring book' vibe which, coincidentally or not, exudes simplicity thanks to the vast white space. This site truly captures the power of expertly balancing clean design and useful content. So don't let the web-based nature of Webydo scare you. This platform has the chops to pump out pixel-perfect designs whether your goal is minimal or not. Better yet, why not try it out for yourself? It is free after all!